Stencil Press: Stencil Press is Proud to Announce the Release of "Nine Heroes"
Stencil Press is Proud to Announce the Release of "Nine Heroes"
Stencil Press is proud to release its first Heroic Fantasy short story anthology: “Nine Heroes.” “Nine Heroes” is a collection of short stories from some of the most exciting fantasy authors working today. Proceeds from the work will go towards promoting the Heroic Fantasy Facebook group. The hope is that this book will generate sufficient funds to allow the members of Heroic Fantasy to promote the work of new and upcoming writers. “Nine Heroes” is currently available on the Createspace Bookstore and will be available through other retailers such as Amazon shortly. Please visit the create space “Nine Heroes” page and help us out by clicking the blue Facebook “like” button available there. 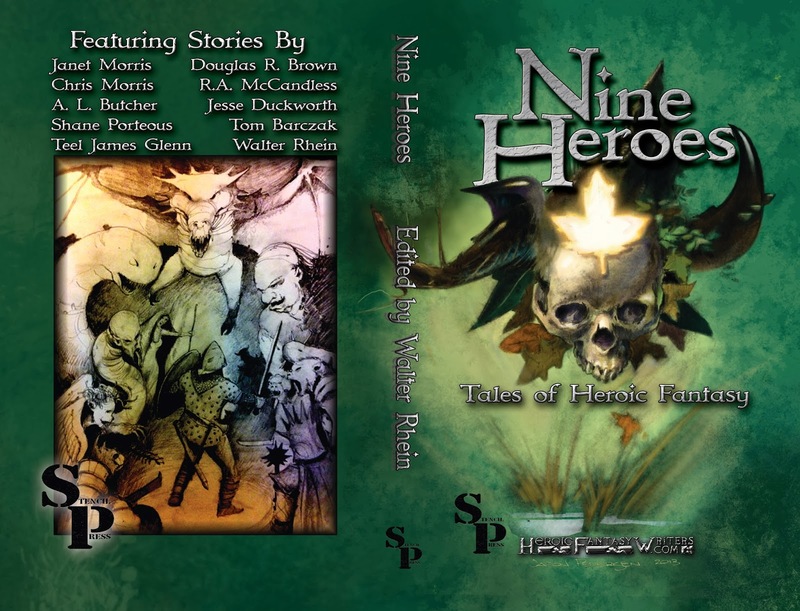 Review copies of “Nine Heroes” are currently available. To request a review copy, please send an email to walterrhein@gmail.com. Please include a link to a recent review. Reviews should be posted on Amazon, Goodreads, and your personal blog (if applicable). Also please check out the other works by the authors of “Nine Heroes” which are currently available.